This party package is AMAZING, best of both worlds, you get something for everyone. 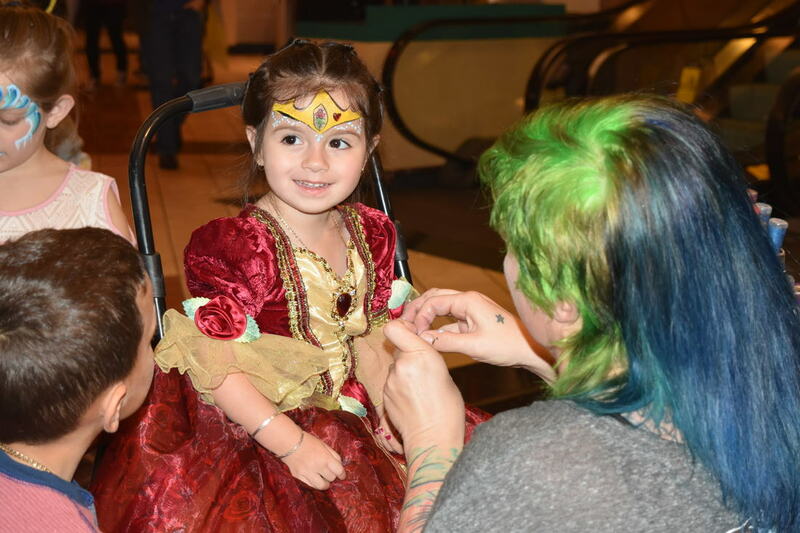 Your Princess will come out dressed as the princess of your choice, AND your face paint artist will come with everything that is needed to paint your guests to be princesses, super heros, or animals. Your princess will sing, dance and tell a story and when the time comes, sings happy birthday to your guest of honor. This party is great if you are searching for the best there is to offer as far as children's entertainment for your event. We LOVE getting people all dressed up and feeling fancy. This party package offers 2 ways of doing that. This package will transform your child and her closest friends into princesses. After they receive the royal hair do, your artist will paint each of their faces and get them ready to be picture perfect for the big party. All guests will receive the hair brush of their choice and a face paint fit for a queen. Special requests for specific artist will be considered and will be fulfilled as long as your artist is available for time requested. Special requesting Clementine The Amazing reflects an add on price as in order to book her the calendar may have to be moved around, resulting in additional work for the booking agent. When booking Clementine The Amazing, you will also get more children painted in a shorter amount of time. Many years of practice increases the speed in which an artist can achieve amazing art.